Working in a small office environment isn’t as hectic as working in a huge building, but it still provides the same kinds of stresses. One of the problems that might become prevalent overtime is the matter of scheduling work properly, and it becomes a huge one if it isn’t properly managed. Of course this isn’t the early age of business any more, there’s no need for a manual ledger to be kept and certainly no need to keep using that archaic method. If you have a basic working knowledge about how computers work and programs as well, then you should have no problem working software that deals with scheduling. The only thing you need to think about is where you can find some great staff scheduling software to replace the manual ledger. If you’re fairly inexperienced with software, then you it would be a good idea to start as simple as can be. No need for overly complicated layouts and user interfaces that might confuse you. This is why you might want to start out with DRoster as it provides basic features along with a fairly intuitive control for these things. Instead of overcomplicated user interfaces and too many features, there are only 11 key ones that aid you in creating a decent schedule. It has alarms for overtime, employee availability, and for hours that have conflicts with work. 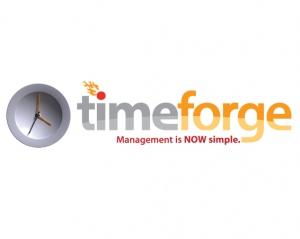 Time Tracker is a little more advanced when it comes to scheduling, and it provides a bit of an enhancement for the manager’s side and the employee’s side. 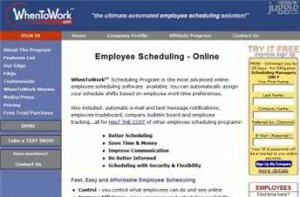 You see, the program has an auto scheduler, which takes away a lot of the work on the manager side, however, edits can be made when new employee’s are hired or when the regular schedules shift. For employees, edits can be made in their personal information, and they can be done on the employee’s side. In so many words, this program does one thing very well. It’s probably the fastest program that fills out schedules easily. The forms are pretty quick and easy to handle, so when things are a little hectic it clears out schedules faster than most other schedule software. If there is one thing that you have to be sure about programs, it’s that they have to function well. Encountering a bug that devastates your schedules might stick you with a bunch of problems that you don’t want to face during crunch time. This program boasts massive customer support as well as an auto schedule system that enables you to keep your schedules efficient. A more advanced version of these programs, and no doubt more detailed, is TimeForge. In this program, there are at least 40 individual options all for the purposes of reporting. It also uses email messaging options with the extra feature that allows you to make schedules online. Yet another ease-of-use program that makes scheduling much easier, WhenToWork allows you to carry over massive schedules between weeks. You can also make a general schedule plan by making your own templates. The downside here is that it looks old and outdated. For companies that are fast growing and expanding, this is a piece of software you’d undoubtedly want to try. 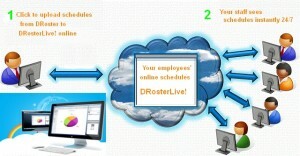 It has a massive amount of space, which allows you to schedule hundreds of employees at the same time. It’s also detailed in each form you fill out. This program is on the third slot of the list because it is very simple and easy. At the same time, it covers a lot of ground in terms of social programs because it syncs up to Google and even Facebook with relative ease. It makes it faster for employees to know exactly when their shifts are going to begin, along with any changes that might happen. Schedule24 uses another means to make it easy for you to control schedules. The difference with this program and others is because you can control schedule changes in different locations and different parts of the company. 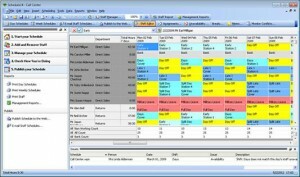 Shift planning is a program that covers all the bases that one would need in a working environment. It has a mobile app, a functioning time clock, and the ability to customize reports when you need them. It’s also easy and quick, combining all aspects of the different programs on this list into one convenient package. Overall, most of these programs really do need a bit of a look over for your full appreciation and luckily for you, all of them have free trials that you can exploit for a few days. Look them up so you can find out just which programs really do suit your company’s needs.